150G Signature Patty, American Cheese, Lettuce, Ketchup, Frenchie’s Mustard and Pickles. 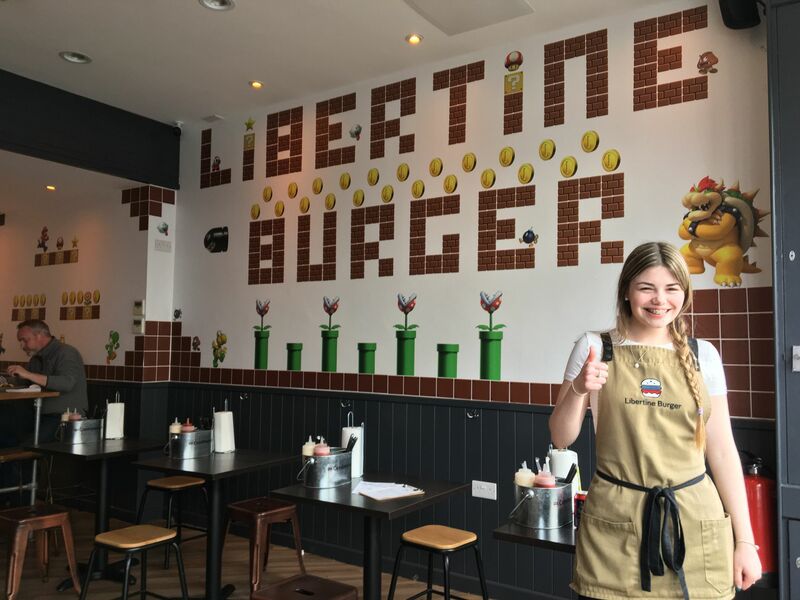 Today we finally got the time to visit Libertine Burger. 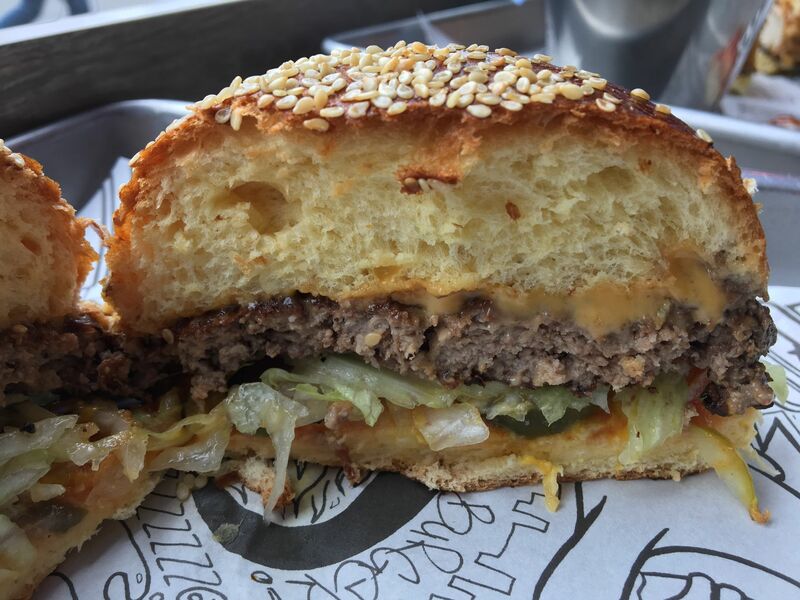 Today we finally get to run Libertine Burger through the BURGER LAD® review algorithm. Today we sampled the No.1 Trademark Beef… and it was excellent! 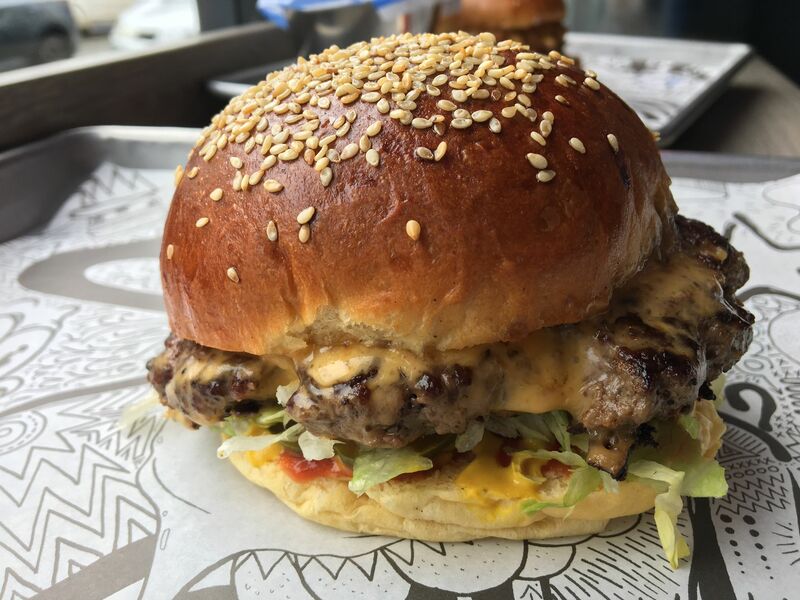 Now, discerning burger lovers in and around the West Midlands/Warwickshire/Northamptonshire triad will have probably made the pilgrimage to an establishment that is making all the right noises in the burger world. 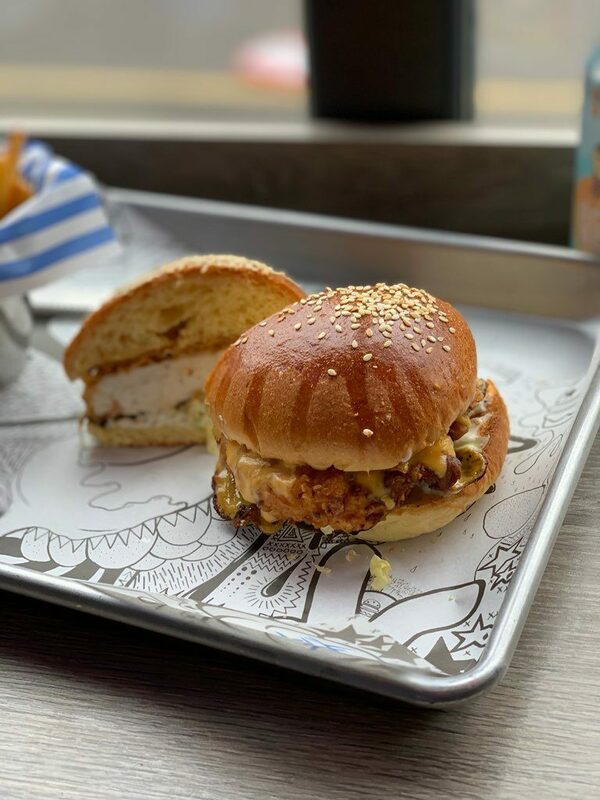 Founded in 2016, this Leamington-based burger joint has a simple, uncomplicated menu where they let their ingredients do the talking. 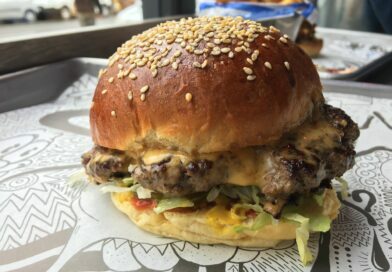 They describe their beef burgers as having a blend of Flank, Chuck and Brisket using grass-fed, 28 day-aged organic Aberdeenshire beef. These beauties are supplied by the award-winning local butcher, Aubrey Allen and having had their beef before, I knew stepping into the place I would not be disappointed. 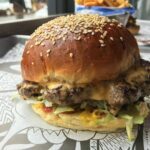 Libertine Burger (unsurprisingly) recently made their way to the finals of the National Burger Awards (long-term readers will know I was a judge at the same competition back in 2017). 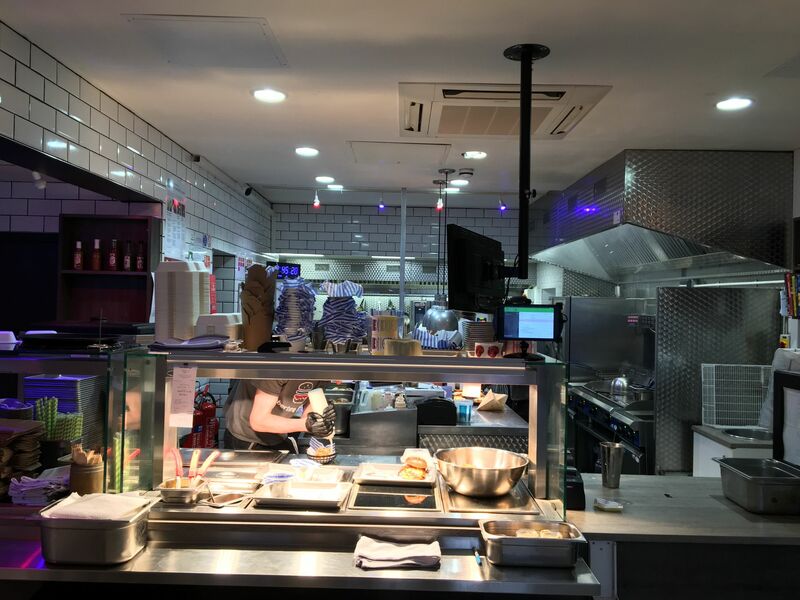 Inside, it is very welcoming, with a mixture of seating options, tunes playing in the background and delightful whiffs of grilled meat wafting from the open kitchen. 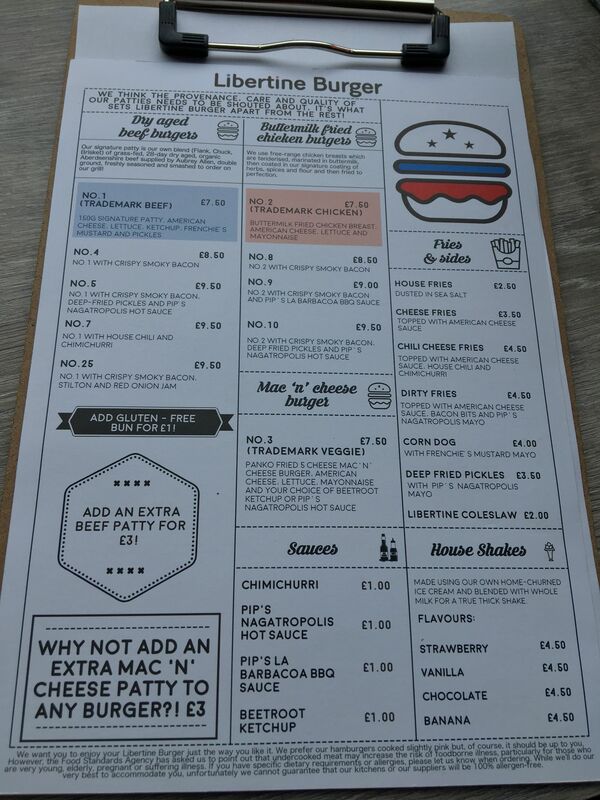 The menu itself doesn’t scream of gimmicks. Basically, choose either the Trademark Beef (No.1) or Trademark Chicken (No.2) and then (if you want) pimp that up with a number of additional options i.e. the No.4 is the No.1 but with Crispy Smoky Bacon. Visiting a restaurant for the very first time, I tend to opt for the signature burger – and you can’t get more signature than the No.1. Part of me had a semi-fear about this build. Again, long-term readers of BURGER LAD® will confirm that ketchup and mustard are not two of my favourite condiments. 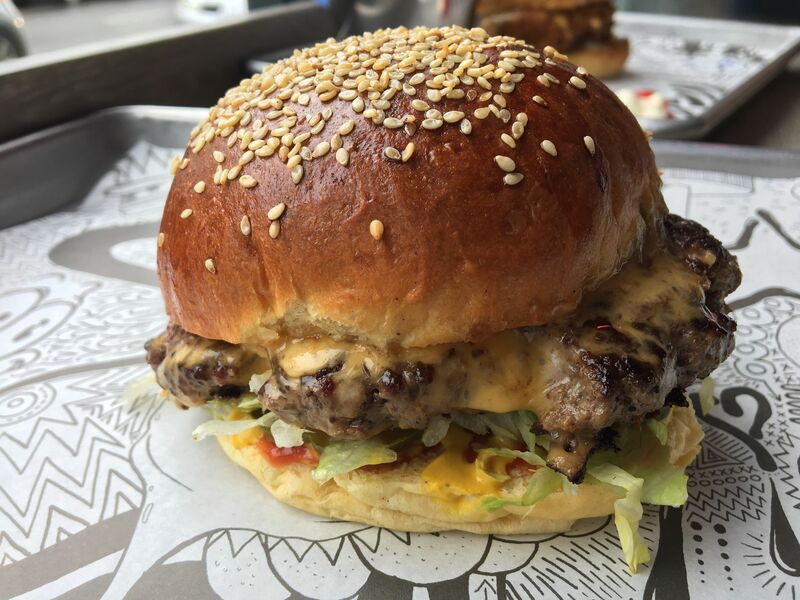 What sort of burger reviewer are you…!? Honestly, I was worried ketchup was going to be slathered all over the burger – just like the major disappointment of the Hopper Whopper at Lucky Chip. I was flipping relieved when it arrived at our window-side table. The No.1 is a small, compact and tidy build which looks impressive and instantly screams of fresh, quality ingredients. How dare you sit there taking pictures of me? What are you waiting for? Can’t you see I am here to be eaten? NOW! Joking aside, this is an exceptionally good burger for a very reasonable price. £7.50 for just the burger alone might seem steep in some people’s eyes… but then maybe those people should not be privy to such a magnificent work of burger art. If this doesn’t look like it will fill you up, you can add an additional patty for £3 or pick any one of their tempting sounding sides. 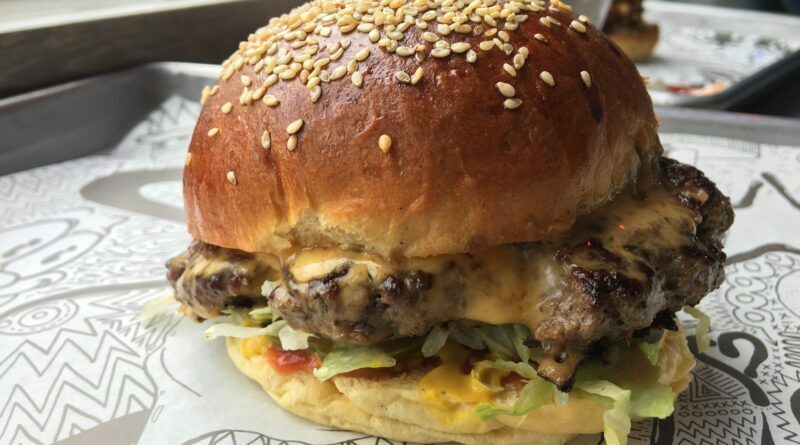 The smell is fantastic – a char-grilled, beefy brilliance which just hangs in the air… enticing you to take your first, expectant bite. Oh it feels good. Brilliant in fact. It seems like an age and a day since I had a burger of this magnitude. It’s been far too long. Firstly, that beef. And THAT BEEF should be underlined, highlighted and flashing at you now on the device that you read this on. Pure butterly brilliance is how I would describe it. Perfectly seasoned with a sharp combination of pokey black pepper and salty seductiveness. This really is worth the hype, the journey and the money. Libertine Burger did not know I was visiting this afternoon. I’m not sure how, but the delightful Rosie (pictured below) got wind that we were “burger bloggers” and offered us our lunch for free. She really was a sweetheart and we cannot thank her enough for her kind hospitality – we’ll treat you next time we pay a visit! And that might be soon for the No. 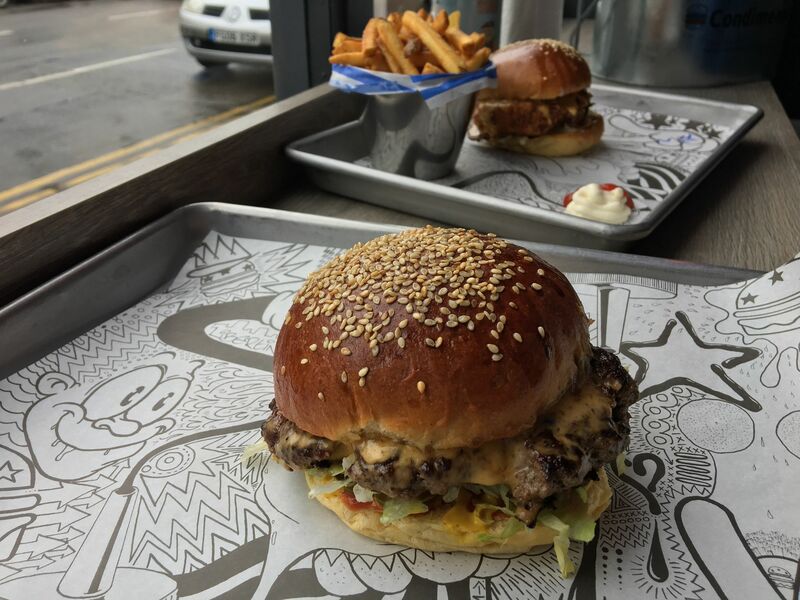 888 – a limited special with bacon jam, Frazzles and baconnaise. Back to business. Burger business. The whole build is perfect. 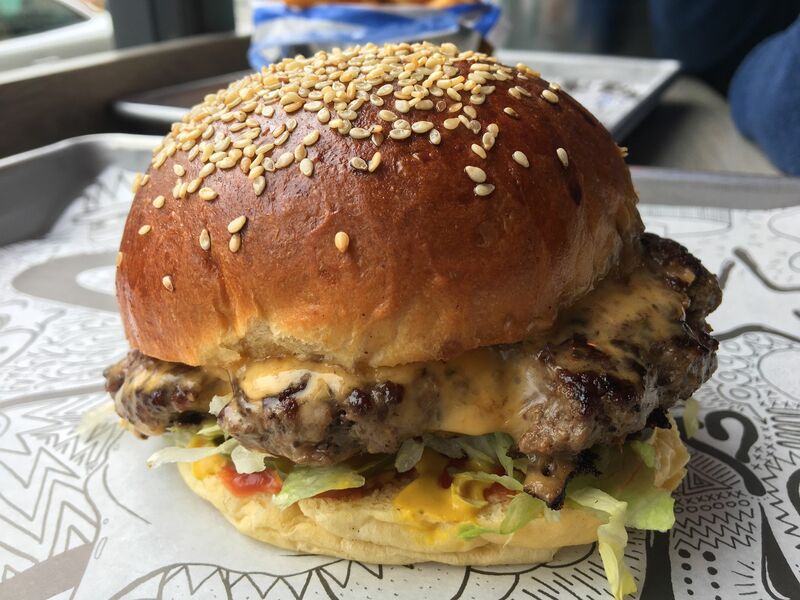 And I mean as close to perfect as you can get to burger perfection! 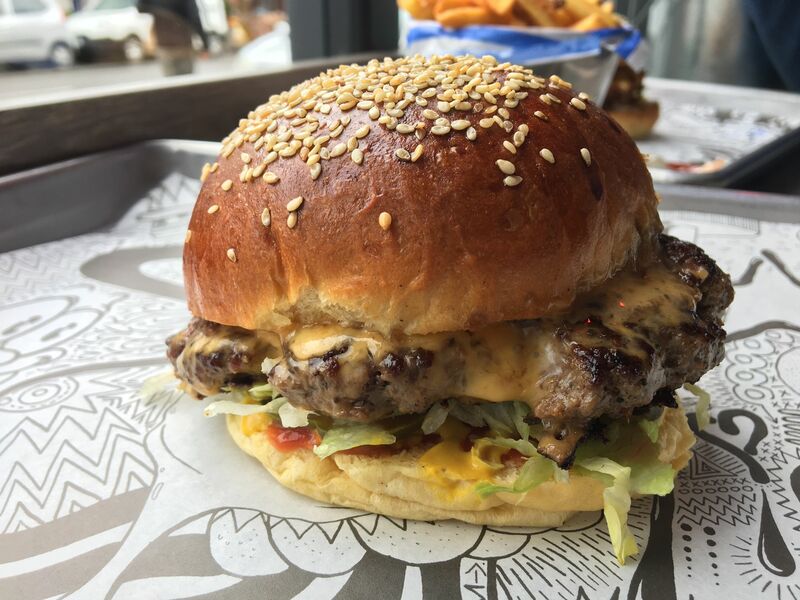 I loved the bun they use – think sesame seeded, glazed brioche. A slight yellow in the middle but adding to the buttery richness of the AA grade Aubrey Allen organic beef. Personally, I would struggle to name a better patty I have had in the seven years since this website was launched. 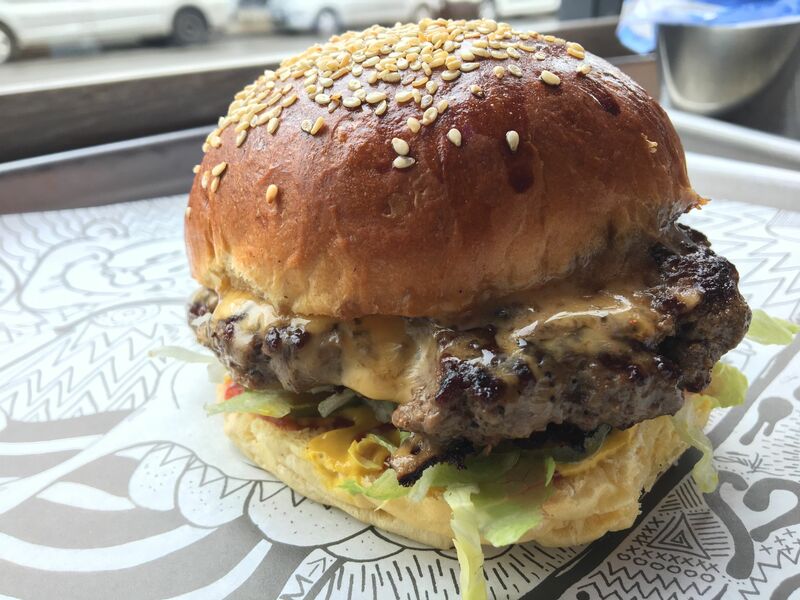 You’ve got the perfect combination of that beef which is the shining star of the show – caressing your palate with rich, buttery hints which are complimented by the perfect seasoning blend used on the hand-smashed, knobbly patties. There wasn’t much of a pink hue inside, but not being a massive fan of pink burgers this really was not an issue. Every now and then you got the contrast of the faint sweet ketchup and semi-sharp tang of the mustard – I really am warming to this combo and as I said to Rosie after, it is testament to the burger that two ingredients I’m not a fan of, contributed to such a glowing review today. The pickles were fantastic too and I wondered what a slight flick or two of finely chopped/diced onions would bring to the build. Please keep fresh tomato well away from it though! As I write this I feel just the slightest pang of sadness; a) that it is over and b) that I left it so long to visit. I now know what all the hype is about and I cannot commend you enough on your vibe, staff and food. Top marks! Please keep up the exceptional work and never, ever change. 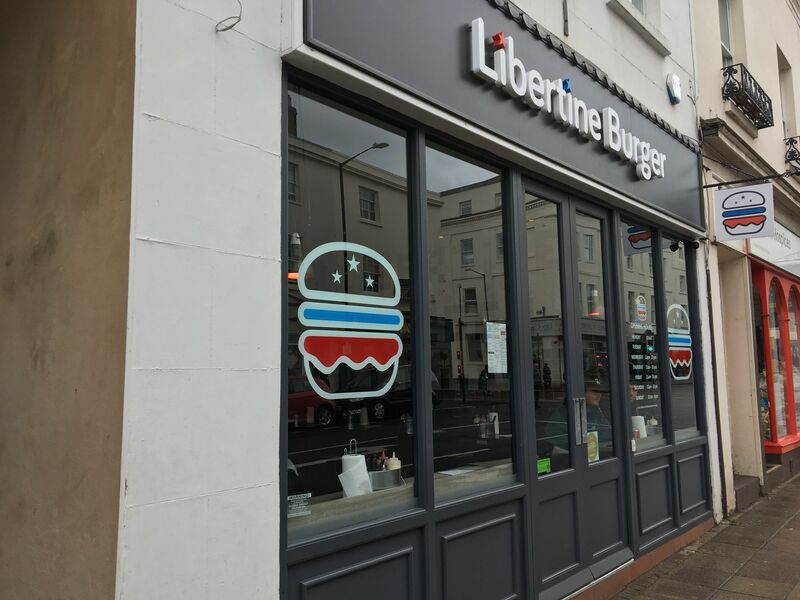 If you are in or around Leamington Spa and are a serious burger connoisseur then make Libertine Burger your primary destination. I can assure you, you will never be disappointed. 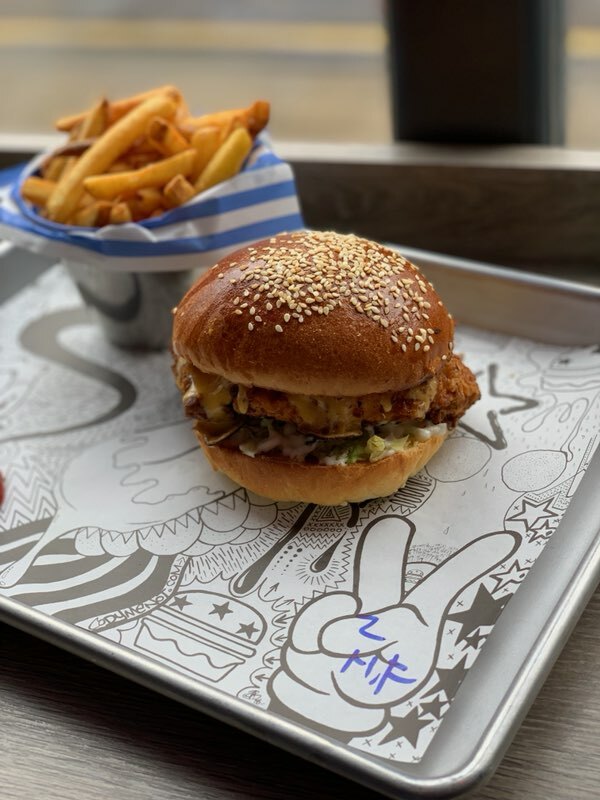 Also thanks to Mike aka digiDough for the following pictures of his No.2 (Trademark Chicken) – give him a follow on Instagram here.